Our first Atlantic cod research trial occurred in 2003-04. 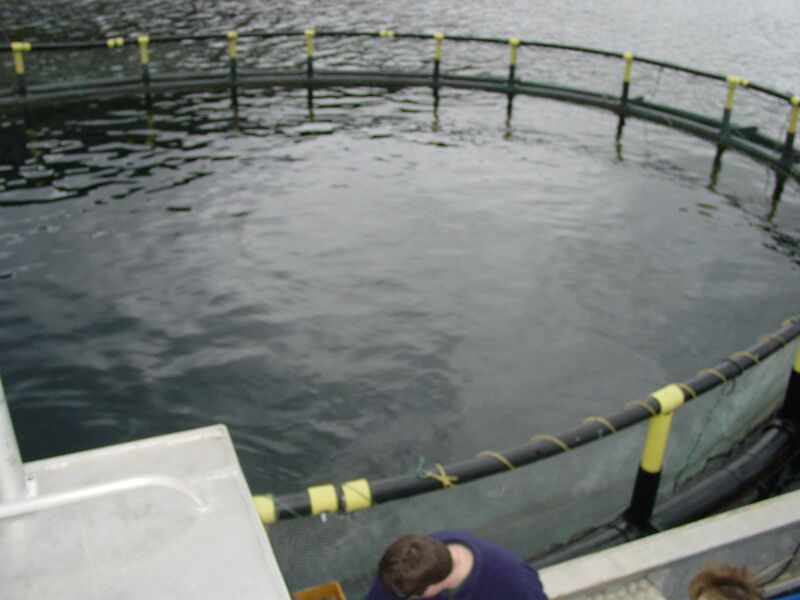 We worked with Atlantic Salmon of Maine to see if cod could be grown to harvest using salmon farming equipment (cages, boats, nets, feeders etc) in net pens within an active salmon site. We reared 30,000 juveniles in our pilot hatchery and transported them to the Johnson Cove site in Eastport, Maine. As part of the project we visited cod farming sites in Norway and attended a Norwegian cod aquaculture workshop. At harvest we conducted a sensory analysis of farmed vs wild cod. This project demonstrated the use of salmon farming infrastructure for cod. An unintended finding from this project was that cod are susceptible to cataract formation when grown under intensive conditions in land-based systems. Due to a project delay, the cod had to be held for longer than anticipated in a CCAR nursery, where rearing densities exceeded 70 kg/m3. Over 80% of the fish had developed extensive cataracts when they were finally transferred to the net pen. Our suspicion that high CO2 levels in the water were the cause was confirmed several years later when we carried out trials to address this question (Carbon dioxide levels and cataract formation in Atlantic cod).